I love the romance of baseball. That first look at the field when you enter the stadium. That sound when the ball hits the sweet spot on the bat. The deceptive ease with which outfielders catch, great batters hit, and gifted pitchers throw with pinpoint accuracy. 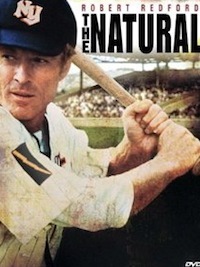 And I love baseball movies, most notably The Natural with Robert Redford, For Love of the Game with Kevin Costner, and 61*, a movie about the Mickey Mantle / Roger Maris competition to beat Babe Ruth’s single-season home run record (and the asterisk issue that followed — trust me, rent the movie). And that, ladies and gentlemen, is exactly what happened at the All-Star Game at Citi Field a couple of nights ago. 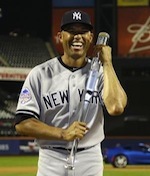 I’m referring, of course, to Yankee pitcher Mariano Rivera (aka The Sandman), arguably the sport’s greatest closer, now playing his final season. It was magic. Rivera taking the field in the eighth inning by himself, with both teams standing and applauding, the audience on its feet in tribute, the sun having set. A tribute richly deserved — as deserved as the number 42 (Jackie Robinson’s retired number) on Rivera’s jersey, the last 42 in the league. And then Rivera did what he does best. He pitched a perfect eighth inning. It was glorious. Inspiring. A hero of America’s game giving us a moment where time stood still. Where he pitched against the future and against age. Where he managed to push the sun back up in the sky. Where summer again became a time to dream — and a time when we all believed just once more.